When you envision a “perfect” smile, you probably see big, straight teeth that are dazzling white. That’s one idea, but it’s certainly not always the preferred result of a cosmetic dentistry makeover. Few people actually want an overdone “Hollywood” smile. 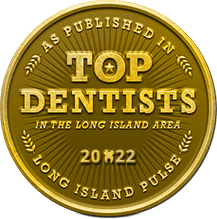 For a more subtle, beautiful result, your Long Island cosmetic dentist Dr. Allan S. Mohr takes a custom approach… and it’s one that may actually involve leaving behind a tiny imperfection or two. That’s right — keep reading to learn more about why flaws are actually built into customized smile makeovers! A smile makeover is a customized approach that can be used to correct any number of cosmetic and structural imperfections all at once. This method is preferred compared to doing treatments one at a time over a period of several years, because it allows your cosmetic dentist to take a comprehensive approach for the most efficient and effective results. The treatments used in a smile makeover may include porcelain veneers, crowns, teeth whitening, dental implants, and/or any other restorative or cosmetic treatment. When crafting veneers especially, Dr. Mohr wants to avoid the unnatural “chiclet” look. Taking into account the teeth in your lower jaw or those that surround the veneers, he can craft tiny imperfections — ones that no one else will really notice, but which give your smile a more natural appearance overall. It’s little details like these that really help a smile makeover look fantastic — and naturally you! Don’t just take our word for Dr. Mohr’s superior level of care and fabulous results. Read what our real patients have to say about their stunning, life-like results below! These quotes were pulled from their online reviews. “Dr. Mohr approaches his work like an artist eyeing his canvas, paying special attention to exacting detail – crafting the perfect shape – including natural-looking ‘flaws’ – and choosing the right coloring to match my face and stage in life. 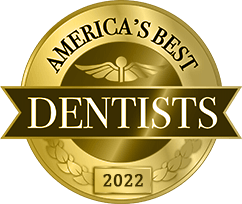 That’s world-class talent.” Rich L.
If you are dealing with severely flawed or damaged teeth, a smile makeover could be just the thing you need to smile with full confidence once again. And with Dr. Mohr’s detail-oriented approach, you can feel confident knowing the results will be customized to match your unique facial features fantastically! 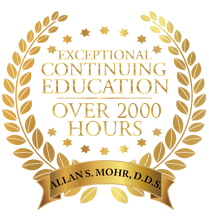 Dr. Allan S. Mohr is a local leader in cosmetic dentistry and natural-looking smile makeovers. 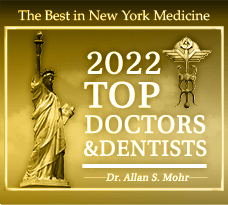 To discuss your options or learn more about what is possible with your smile, we invite you to contact ASM Smile Creations at (516) 541-7344.
by: allanmohr at March 29, 2018 .